Your Polinators and Beneficial Bugs need a home in your garden! 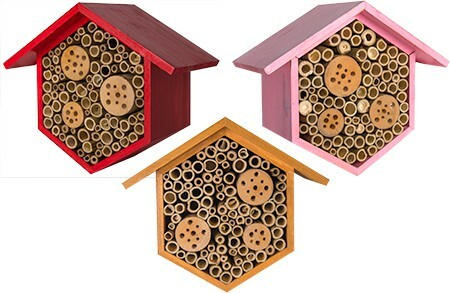 Our Beneficial Bug Hotels are a fun and practical addition to your home garden. They are perfect for kids to learn about organic farming, predatory insects, and polinators. The hotels harbor beneficial bugs that keep insects such as aphids off our plants. Polinators use the hotels to develop from egg to adulthood, where they can facilitate the reproduction of flowering plants! Help host these essential species right in your garden! Essential for Home & Organic Gardening! Polinators Need a Home in Your Garden!